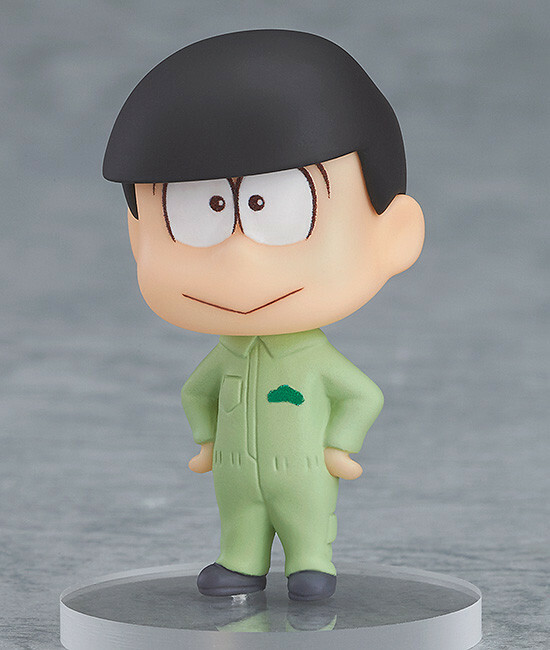 The six Matsuno brothers as adorable mini-figures in overalls! 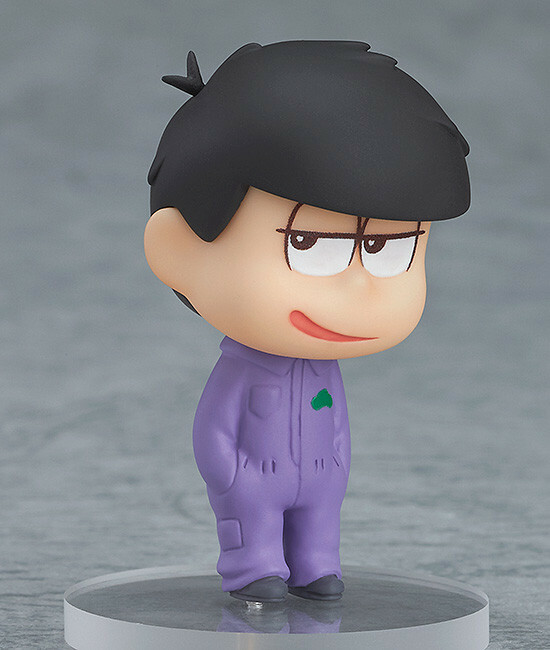 From the popular anime series 'Osomatsu-san' comes a series of miniature figures featuring the six Matsuno brothers wearing colorful overalls! 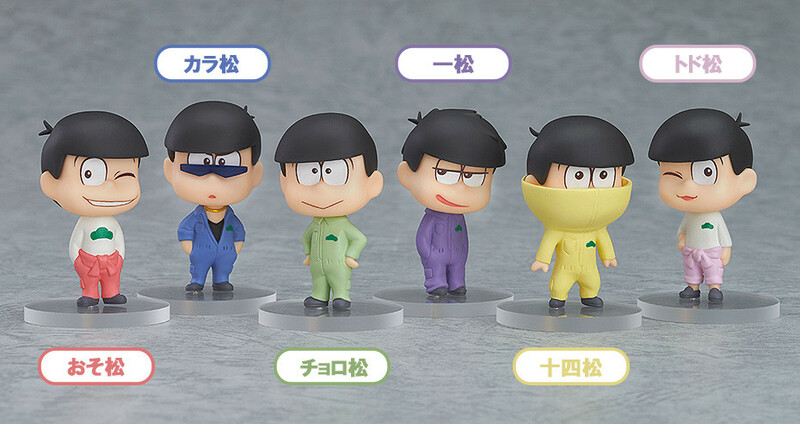 The set includes Osomatsu, Karamatsu, Choromatsu, Ichimatsu, Jyushimatsu and Todomatsu all wearing their overalls in cute different ways! 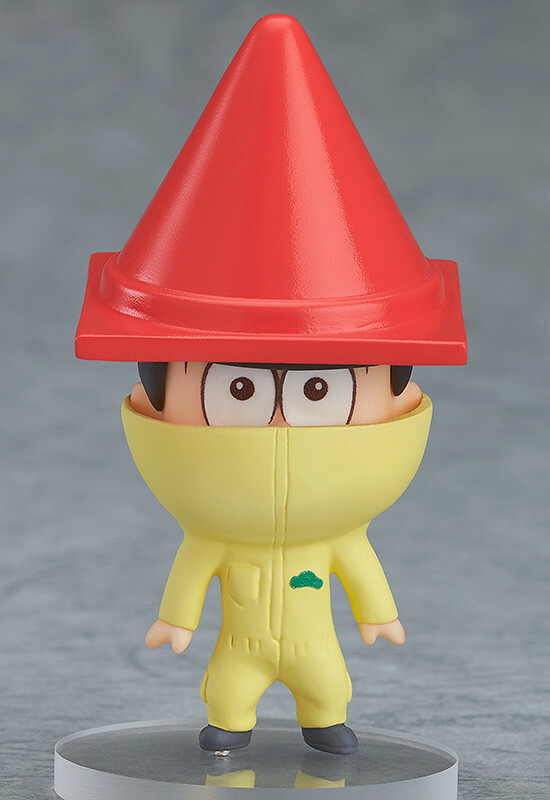 Jyushimatsu also includes a traffic cone to wear on his head! 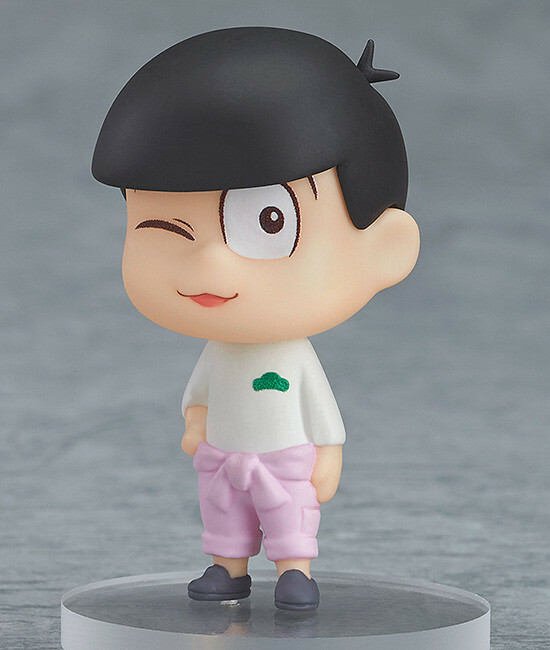 In addition two post cards are also included which can be used as backgrounds for the figures using the included card stands! 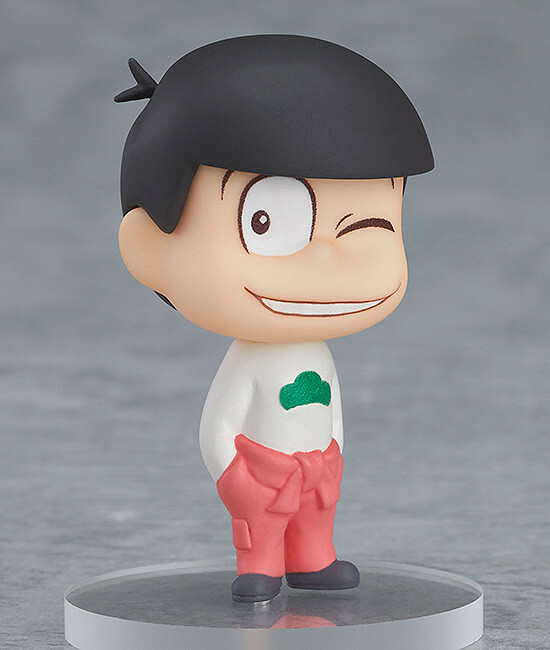 Enjoy the unique traits of each of the brothers as cute mini figures! Painted non-scale ABS&PVC complete figures with stands included. 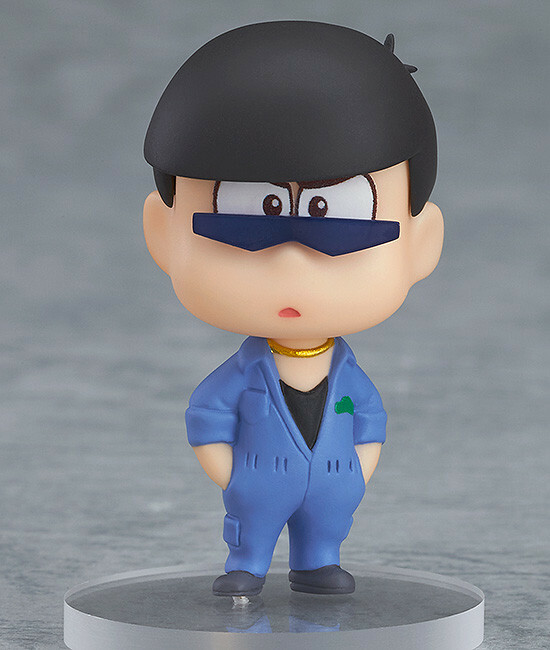 Each approximately 35mm in height. *Image for illustrative purposes only. Final product may differ.